Urban combat? Ample protection, because sticks and stones hurt! Reach for these "MLB catcher-style" Shin guards. U.S. Military Surplus Shinguards, Used is rated 4.4 out of 5 by 44. Rated 5 out of 5 by Maxwell111 from Great Shinguard's Fit well and sturdy, not new but really good condition! Rated 5 out of 5 by Pigopotomous from No 'Shin-anigans'! 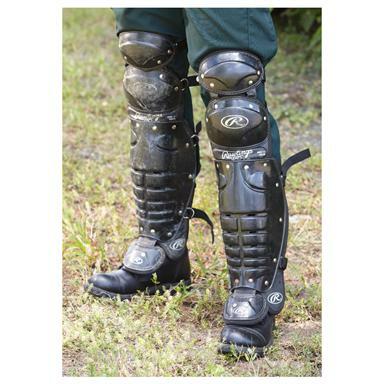 I ordered these for my grandson who likes to play airsoft, and barks up his knees diving for cover. Many of the reviews stated that the item received was a brand-new Rawlings brand baseball catcher-style shin guard. Most said positive things, so I rolled the dice. Came up a seven. Brand-new, shiny black Rawlings shin guards arrived in a box big enough to hold a catcher. Great deal. 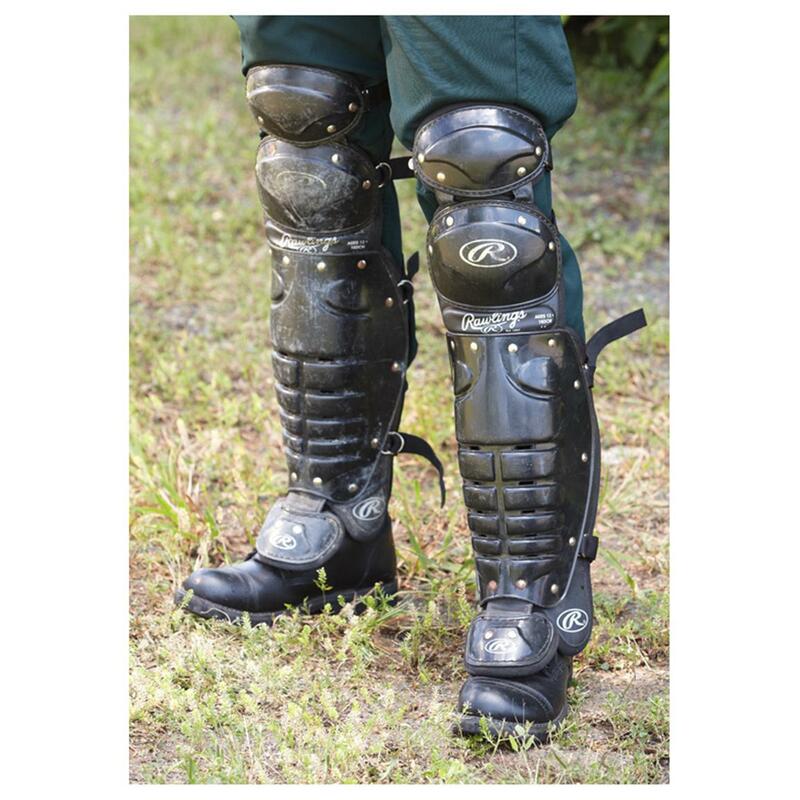 I took them out and they have ample points to secure the shin guards to keep them in place as well as flex points at the knee and ankle to provide comfort and maneuverability. This was a great buy for under twenty bucks. Thanks TSG. Rated 5 out of 5 by Interested from Absolutely do not worry about the "youth" sizing. I was hesitant to buy these because of the sizing, but a couple reviews said they fit adults. I'm 6' and 220 pounds, and these fit me perfectly. Unless you have very long legs, these should fit great, and even then they'll probably get the job done. The flap that sits on top of your shoe really makes the height adjustable without sacrificing protection. Rated 5 out of 5 by Oafdawg from Nice! They look like they're brand new. Rated 5 out of 5 by Sindarian from Super Value This is a very inexpensive way to get quality protectors. My pair showed some wear but in no way effects the performance of the product. Rated 5 out of 5 by Cowboy Ron from This was a great price.. Nice piece of kit, used but in no way used up..
Take your best shot (or 90).